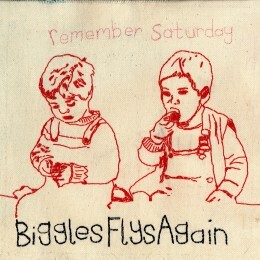 Biggles Flys Again’s debut album sounds like one of those great pop albums you used to listen to and there are several reasons why. The first and most obvious one is that the man behind the moniker, Dubliner Conor Deasy, is especially adept at crafting 3 minute pop gems. Secondly ‘Remember Saturday’ was recorded with the aid of instruments from a forgotten era, namely Casio and Yamaha keyboards, a Hammond organ and a BBC Neve recording console. Music genres come and go but what will never change is that the kernel of popular sound is a good old fashioned tune and ‘Remember Saturday’ has them in spades.